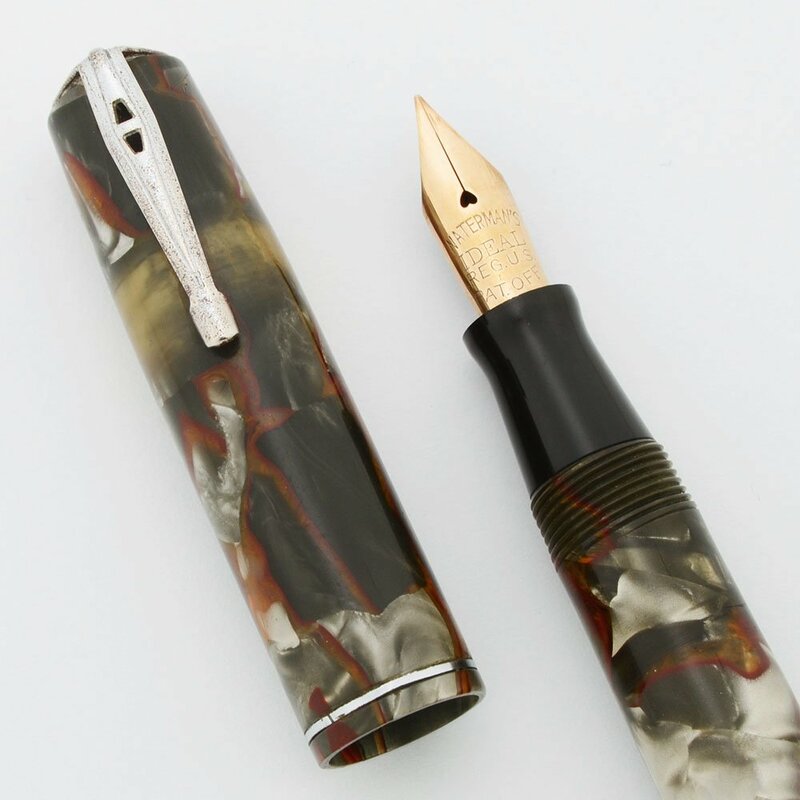 1930s Waterman 3V fountain pen is marbled gray with brown veins and nickel plated trim. 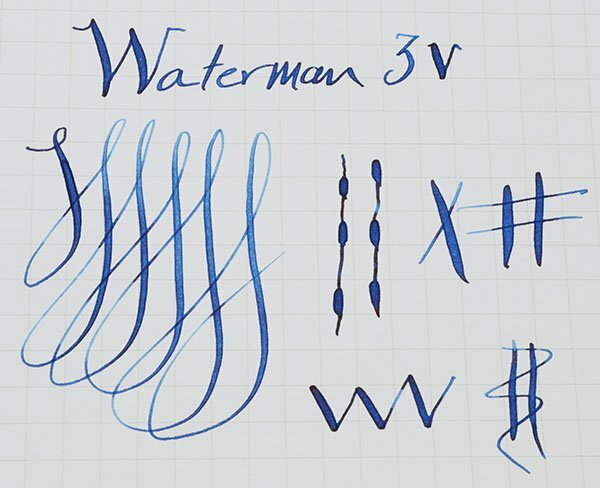 Fine flexible Waterman's Ideal #2 nib. Very nice working condition. Product Name Model 3V, as labeled at the end of the barrel. 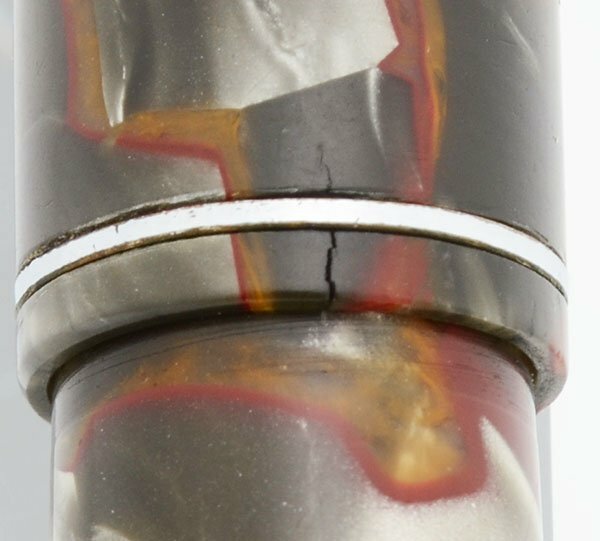 Color Marbled gray material with brown veins and nickel plated trim. It has an interesting clip that goes over the top of the cap. Nib FINE FLEXIBLE 14k nib marked Waterman's Ideal #2 with a heart shaped breather hole. The tines spread very easily and has good hairlines for very good line variation. See the writing sample below. Condition Very Nice condition, excellent except for a crack in the cap lip (see photo below). The cap screws on and stays on and is not affected by the crack. 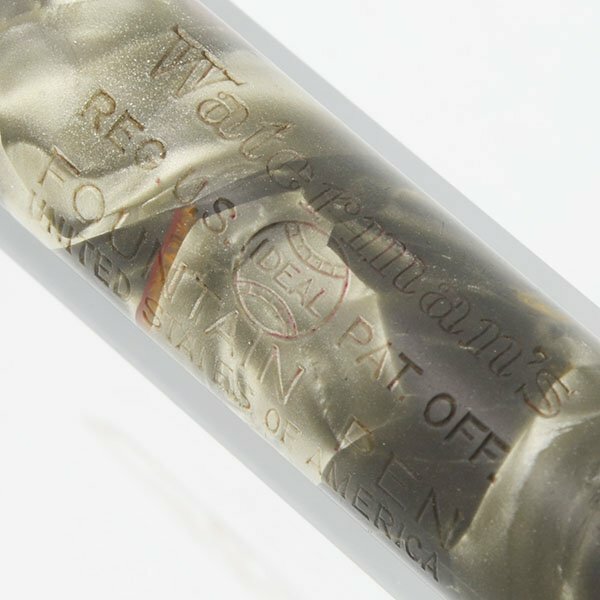 The material is shiny and translucent with a very clear barrel imprint. There are bite marks at the end and plating wear on the clip. 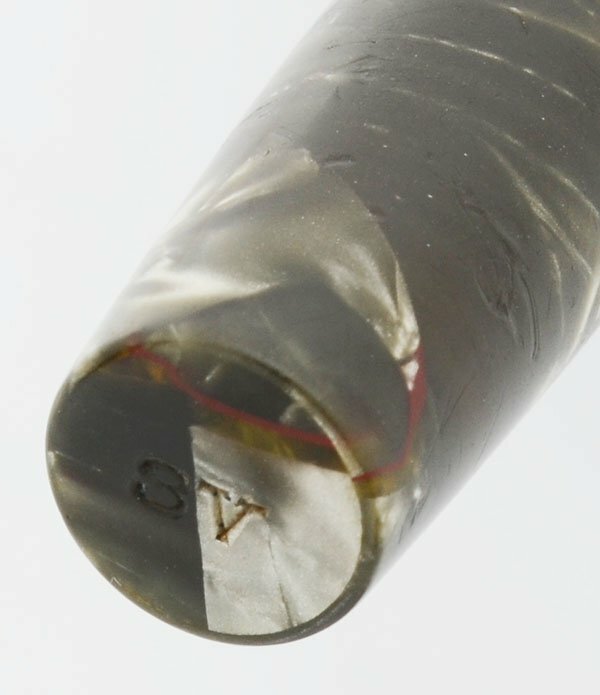 The cap band has a nick on it and to the left of that mark is a crack in the cap lip. The filling system is working well.